Application decisions were updated on 10/15/18 via Higher Reach and email. For questions, please contact Dr. Parti at aparti@polk.edu. Thanks for your application to the OTA Program! Occupational therapy assistants work under the supervision of occupational therapists. OTAs teach individuals with emotional, developmental, and/or physical disabilities new methods or techniques to perform daily activities. Additionally, OTAs may adopt a patient’s physical environment and/or tasks to maximize independent functioning. In the world of occupational therapy, “occupation” refers to purposeful activities that are used to help patients prevent, reduce and/or overcome physical, social, and emotional disabilities. 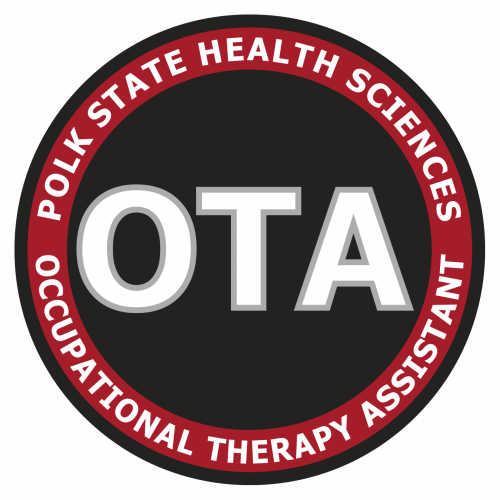 Why Join the Polk State Occupational Therapy Assistant (OTA) Program? Lower program costs compared to other Florida OTA programs, reputation, flexible schedule, competitive salary, and recently added to Career Source Polk’s Demand Occupation List for scholarships. Polk State offers a 74-credit-hour Associate in Science degree in Occupational Therapy Assistant. This is a recent change to increase program credit from 70 to 74 per the Florida Department of Education. For every occupational therapy assistant graduate to be able to fulfill life goals and improve their quality of life. 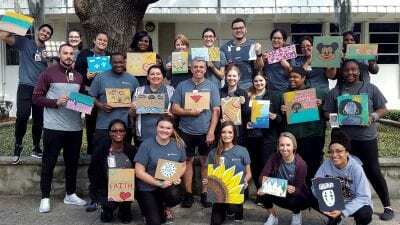 The Occupational Therapy Assistant Program is committed to providing people in Polk County with opportunities for personal and professional development within an environment of academic excellence.